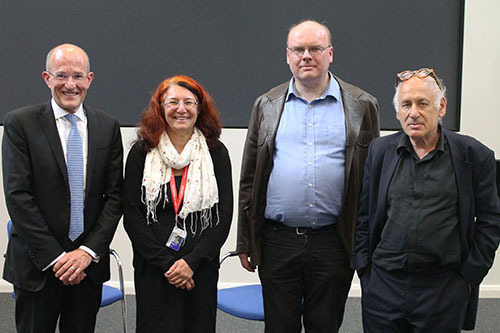 On Tuesday 29th May, the Department of Music welcomed Michael Nyman CBE, one of Britain’s most celebrated composers, to deliver its first Distinguished Lecture in Music. In the talk – which was free and open to the public – Nyman discussed his diverse career and musical influences and borrowings. He focused in particular on his allusions to previous music which he has only seen on the page, never heard. 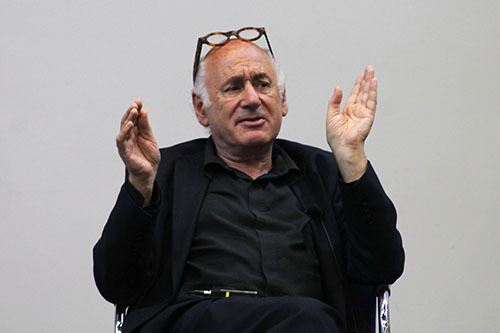 City’s Head of Performance Ian Pace, who chaired the talk, said: “It was a great privilege to be able to welcome Michael Nyman for this talk. Ian Pace added: “Furthermore, he championed new music as a critic for The Listener, while his 1974 book Experimental Music: Cage and Beyond, was profoundly influential for many. The lecture was part of the Department’s annual three-week festival of music, City Summer Sounds, featuring free events by our students alongside acclaimed international professionals. This entry was posted in Uncategorized on July 23, 2018 by laudan.